After seeing THIS POST by Kelly Purkey, I decided I wanted to write down some places that I haven't yet had a chance to visit, but really want to go. I've never been outside the US, except in utero, so my list is rather long. I'm hoping that as we get a little older, and a little more settled, Ryan and I will have the chance to travel together. We've made plans to go to California this summer and are tossing around the idea of a road trip, to stop at a few places we really want to see - we might even throw in a day at Disneyland, if we can swing it. Well I've managed to contract strep and an ear infection on top of pink eye, so I'm off to bed a bit earlier than usual. LOVE this and the whole idea. Fab! 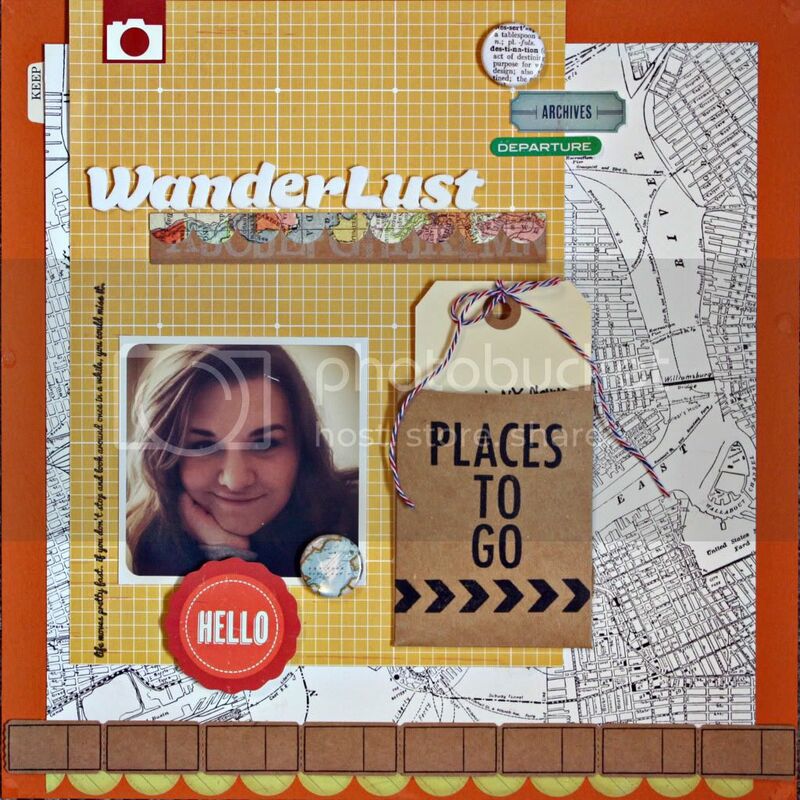 I love this idea, I am so going to have to do a page like this!! Your layout is amazing! Absolutely fabulous page! Love what you did with all the map papers, especially the scallop. Love it!